We had a beautiful view of the Falls. We also appreciated the fact that many of the attractions were within walking distance. We had an enjoyable stay. The view from our room to the falls was just amazing! Courteous and helpful staff, went above and beyond! View was spectacular! Location is perfect. Like the free coffee in lobby and staff are friendly. The location was perfect. The price was good too. The Falls at night and in the morning were beautiful from our 8th floor room. The value for the location was great! We had a Fallsview room that was spectacular. 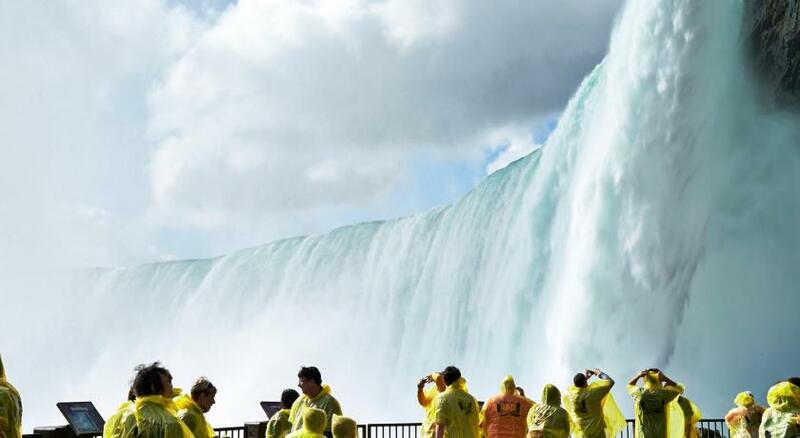 Yes, American and horseshoe falls both! Being able to relax in your room and get more chances at taking in the wonders of both falls at anytime of the day made our trip that much more memorable. The property location made it easy to walk down to see the falls and not worry about parking. If you don’t mind walking, casinos, Clifton Hills were also accessible. 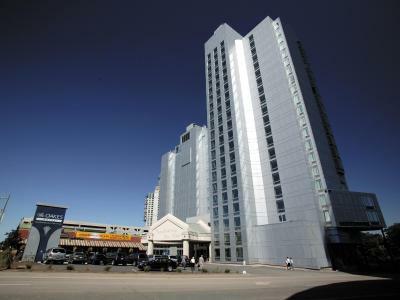 Plenty of resultants to choose from in the area and the hotel offers a nice package for discounted meals and tours. Remingtons was a fantastic resultant or amazing service and gourmet food. We purchased a package from the property that included a 3 course meal for two at Remingtons and the entire price of the package was worth the dinner alone. Highly recommend. Our falls view room on the 18th floor had a better view than anywhere else in Niagra! View was incredible. Staff was very accommodating. Everything. 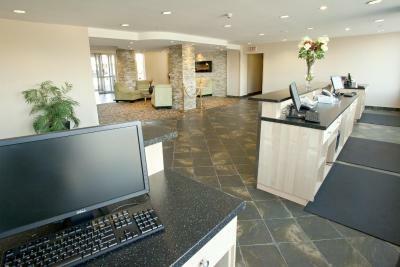 The staff was exceptionally friendly & helpful from desk to maintenance to cleaning staff. We look forward to coming back. The Oakes Hotel Overlooking the Falls This rating is a reflection of how the property compares to the industry standard when it comes to price, facilities and services available. It's based on a self-evaluation by the property. Use this rating to help choose your stay! 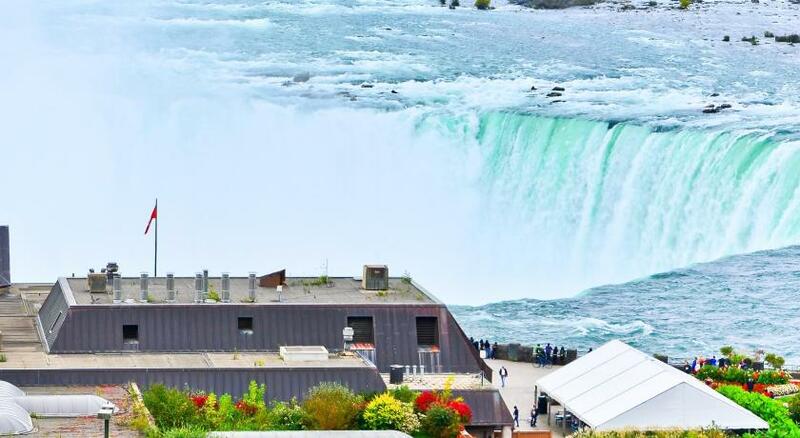 One of our top picks in Niagara Falls.Located next door to Fallsview Casino, The Oakes Hotel features a spectacular observation lounge overlooking the Horseshoe Falls. The Falls Incline Railway, providing direct access to the Table Rock Center and Journey Behind the Falls, is less than 2 minutes’ walk from this hotel. 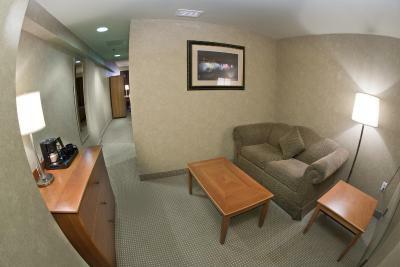 Classically furnished guest rooms feature a 36-inch LED TV, seating area, desk and coffee maker. 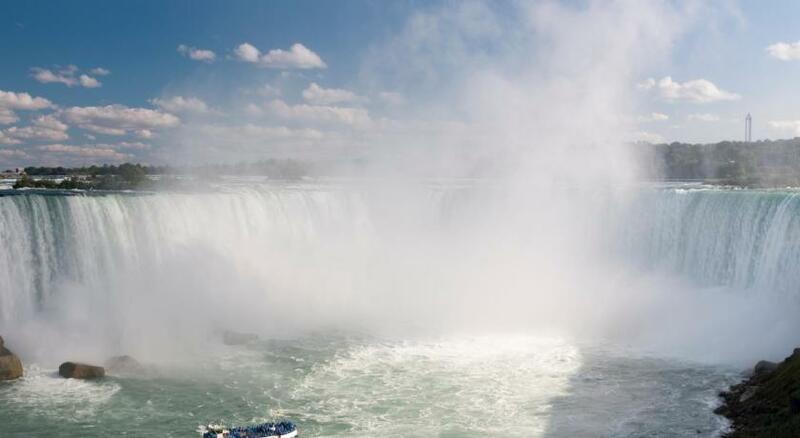 Fallsview rooms and suites boast unobstructed views of Niagara Falls. 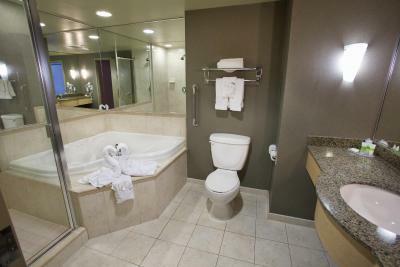 Select rooms include a hot tub. 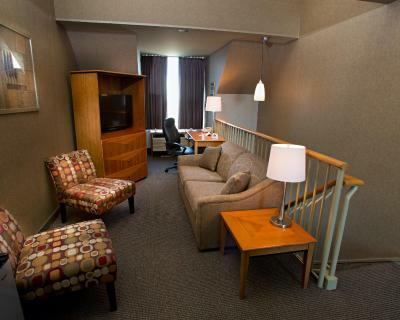 Guests have unlimited access to the 14th floor Observation level for free. 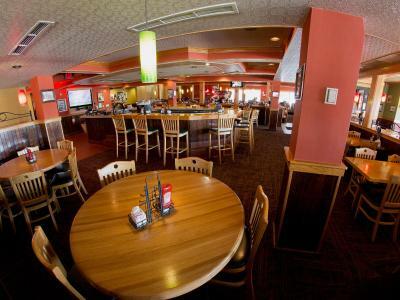 The on-site Applebee’s Neighborhood Grill serves a wide range of Canadian and American food. 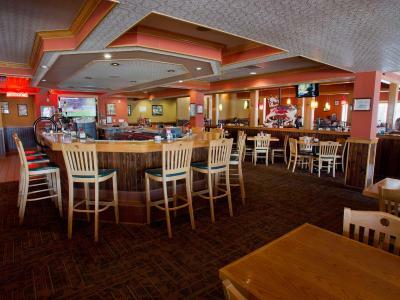 Guests who prefer to go out for dinner can take advantage of the hotel’s free shuttle service to Remington’s of Niagara Restaurant. 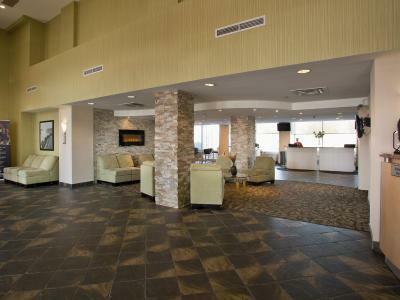 Upon arrival at The Oakes Hotel, guests will find a modern, open concept lobby with a fireside seating area and pod-style check-in desks. 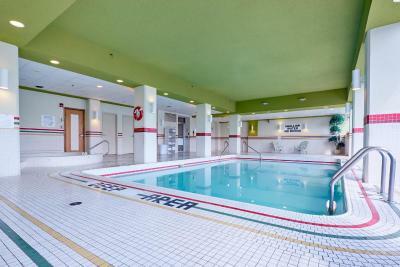 Additional amenities include an indoor pool, hot tub, sauna and fitness center. The Oakes Hotel Overlooking the Falls is 1.2 mi from the Hornblower Niagara Cruise attraction. The US border crossing at Rainbow Bridge is 1.2 mi away. 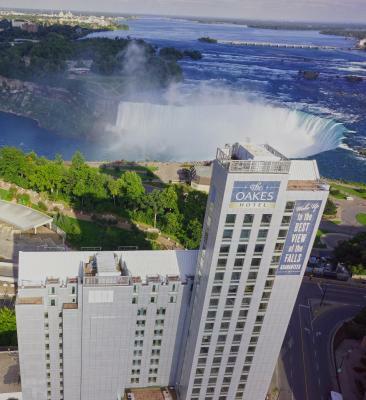 When would you like to stay at The Oakes Hotel Overlooking the Falls? Located on the courtyard section, this room offers tea and coffee-making facilities, a seating area, and a LED TV with HD channels. 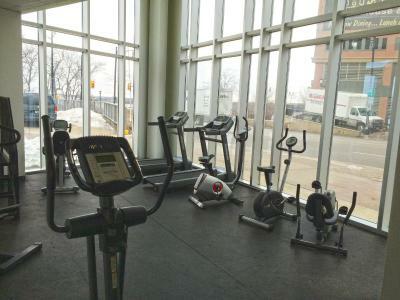 Located on floors 2 through 8, this room has floor-to-ceiling windows boasting views of the Niagara River. This room offers tea and coffee-making facilities, a seating area and a LED TV with HD channels. 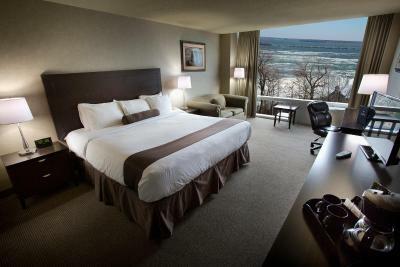 Located on floors 8 through 20, this room features floor-to-ceiling windows with views of Niagara Falls. . The living area features a sofa bed, desk and an LED TV with HD channels. 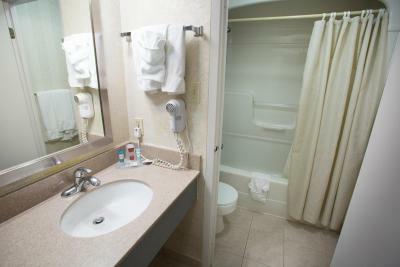 Additional room amenities include an alarm clock and refrigerator. Boasting floor-to-ceiling windows with views of the Niagara River, this suite includes a 2-person hot tub. The living area features a sofa bed, a desk and an LED TV with HD channels. Additional room amenities include an alarm clock and refrigerator. This room type is located on floors 2 through 7. 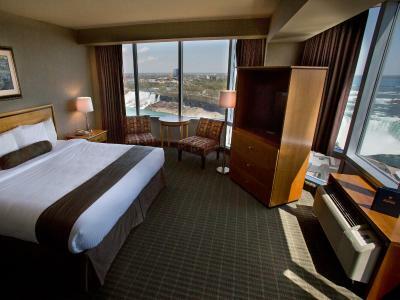 Features floor-to-ceiling windows with views of the Canadian Horseshoe Falls, American Falls and the upper Niagara River. 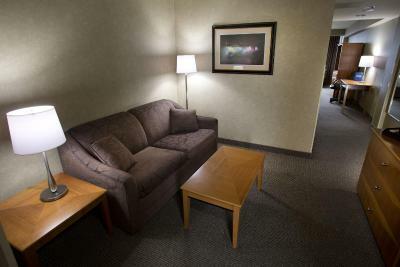 This room includes a seating area, tea and coffee-making facilities and a LED TV with HD channels. This room is located on floors 8 to 12. 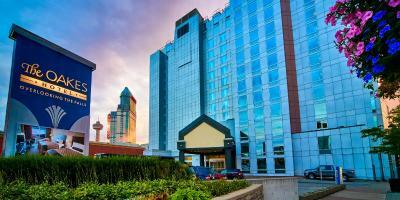 Boasting floor-to-ceiling windows with views of Niagara Falls, this suite includes a 2-person hot tub. The living area features a sofa, a desk and an LED TV with HD channels. Additional room amenities include an alarm clock and refrigerator. This room type is located on floors 8 through 20. 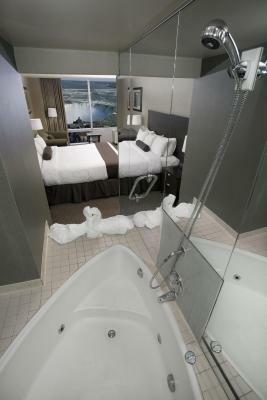 Located on floors 10-12 and offering stunning views of the Canadian Horseshoe Falls, this room features a heart-shaped hot tub. 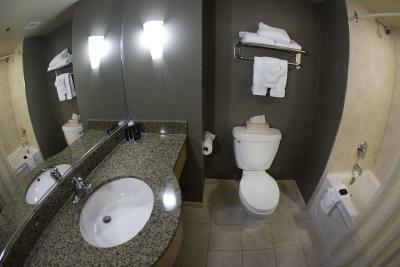 Additional amenities include a seating area, desk and chair, flat-screen HDTV, hairdryer and complimentary toiletries. 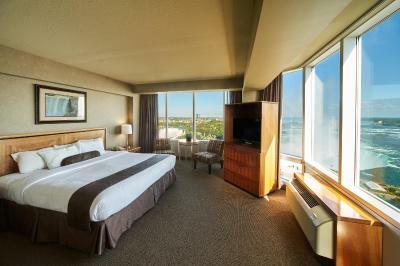 Boasting floor-to-ceiling windows with views of the Niagara River, this suite includes a living area featuring a sofa bed, a desk and an LED TV with HD channels. Additional room amenities include an alarm clock and refrigerator. 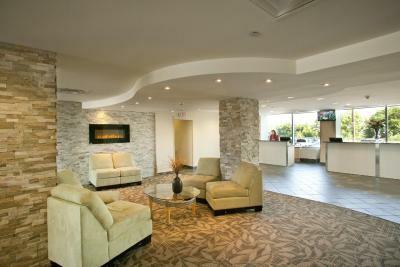 This room is found on floors 3 through 7, with floor to ceiling windows offering a view of the upper Niagara River. 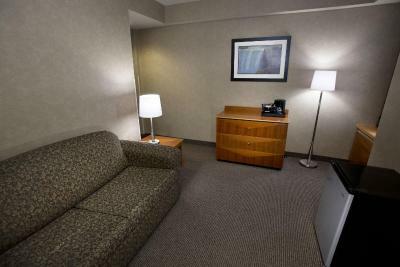 This room includes a desk and chair, LED TV with HD programming, and hair dryer. 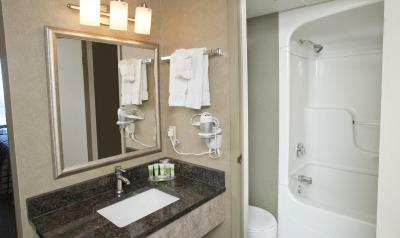 Additional amenities include plush white duvet and bedding, alarm clock, an in-room fridge and two bath robes. 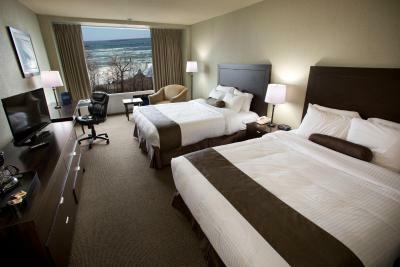 This room is found on floors 8 through 20, with floor to ceiling windows offering an impressive view of Niagara Falls. 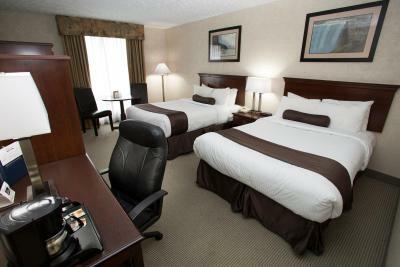 This room includes a desk and chair, LED TV with HD programing, and hair dryer. 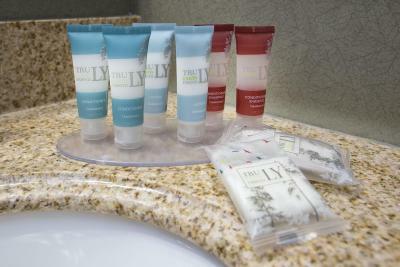 Additional amenities include plush white duvet and bedding, alarm clock, an in-room fridge, two bath robes and upgraded bathroom amenities. These Premier Collection suites are unique, with loft style parlor living room upstairs, and sleeping area downstairs with floor to ceiling windows overlooking Niagara Falls. These suites include a living area with pull-out sofa bed, desk and chair, LED TV with HD programming, and an in-room fridge. 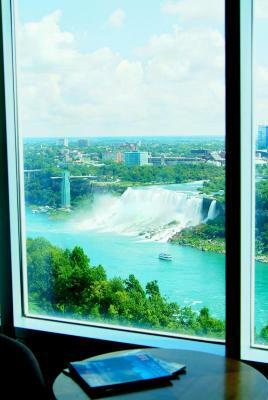 Located on floors 15 through 17, this room features floor to ceiling windows offering views of Niagara Falls. This suite includes a large two person jacuzzi, living area with sofa, desk and chair, LED TV with HD programing, and an in-room fridge. 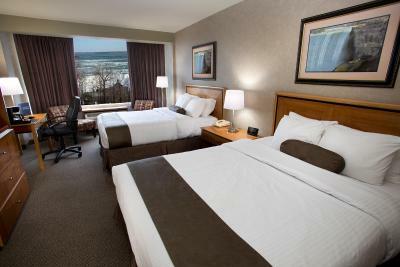 Located on floors 8 through 12, this room has floor to ceiling windows overlooking Niagara Falls! 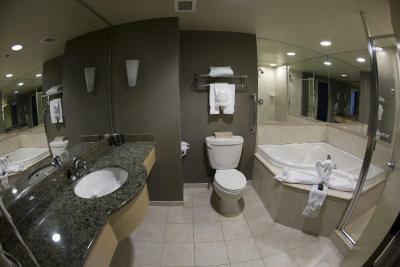 These rooms feature a jacuzzi tub, desk and chair, LED TV with HD programing, radio alarm clock, hair dryer and designer amenities. This room is located in our courtyard section. This room comes with a jacuzzi tub, a sitting area, desk and chair, LED TV with HD programming, radio alarm clock, hair dryer and designer amenities. 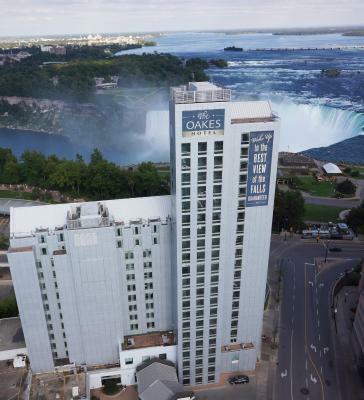 The All New Oakes Hotel Overlooking the Falls in Niagara Falls Canada is the ONLY boutique style Fallsview hotel in Niagara Falls. 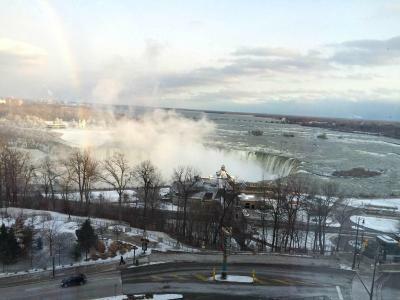 The view from its Fallsview hotel rooms is second to none, as it towers over the mighty Niagara Falls. 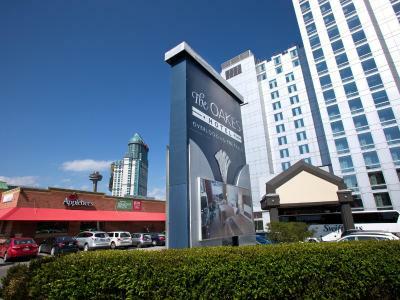 If you're looking for shopping, dining, nightlife or entertainment, the location of The Oakes Hotel is perfect for you. 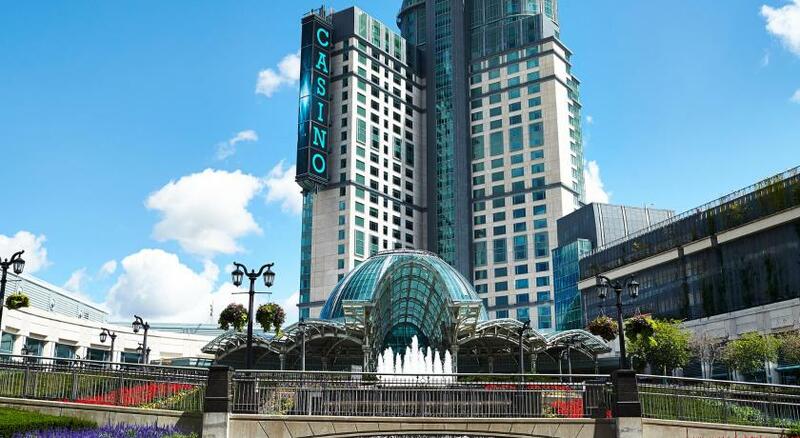 Located in the heart of the Fallsview tourist district, right next door to Canada's largest casino - the Fallsview Casino Resort, the hotel is within walking distance to almost anything! 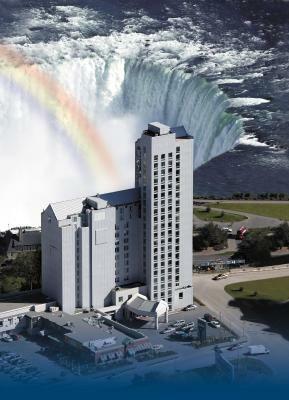 How close is The Oakes Hotel to the brink of Niagara Falls? Just a quick ride down the incline railway (located right in front of the hotel), and you're there in 5 minutes! 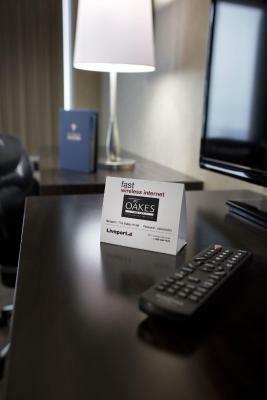 House Rules The Oakes Hotel Overlooking the Falls takes special requests – add in the next step! A CAD100 damage deposit is required 3 days before arrival (about USD75.04). This deposit will be fully refunded 7 days after check-out, as long as there isn't any damage to the property. The Oakes Hotel Overlooking the Falls accepts these cards and reserves the right to temporarily hold an amount prior to arrival. 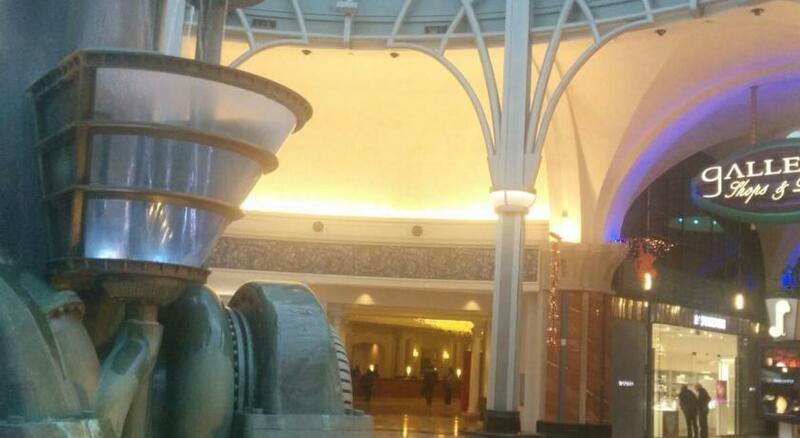 Guests are required to show a photo identification and valid credit card upon check-in. Please note that all Special Requests are subject to availability and additional charges may apply. A security deposit of CAD 100 is required upon arrival for incidental charges, this will be applied to your credit card. If you are using cash or a debit card, a security deposit of CAD 250 is required. This deposit is fully refundable upon check-out and subject to a damage inspection of the property. A damage deposit of CAD 100 is required. The host charges this 3 days before arrival. That's about 75.04USD. This will be collected by credit card. You should be reimbursed within 7 days of check-out. Your deposit will be refunded in full by credit card, subject to an inspection of the property. We would have enjoyed a continental breakfast. That would have made our stay all the better. Room was great, but no shower. Our jacuzzi was basically our showering space as well. Slow and unhelpful checkin. We arrived early and they could not tell us when our room would be ready. The concierge was unable to assist booking a shuttle to the airport. No room service. Off-site cafe for breakfast. Breakfast was limited in choices. Large rooms with an amazing view. There is no microwave in room. So it means we can’t heat up our own food. This was they want us to eat with there recommended restaurant. Some people don’t eat or like outside food so they take there own home cooked food. But it’s hard to warm so we have to eat cold food. Something around the air conditioning unit was banging around and very annoying and made it very difficult to relax and even sleep. Told the front desk and when we returned it still was making noise.. for the amount I paid to stay here I was very disappointed to barely get any rest. Also the cost of parking is outrageous.